The highly celebrated and much anticipated Game Awards show begins on December 6th, 2018, counting down the games which the public have voted for in various awards categories. Now the schedule for the event has been released, including the various time slots for the two days the event runs across. The streams for the Game Awards will begin with a ‘Starting Soon’ slate in order to allow time for the production team to get everything in order. This also helps avoid technical issues or problems with particular hosts being late. The Game Awards streams will start on the 6th of December at 2.30PM PT. This initial stream will run until 5.30PM PT, with the Pre-show starting at 5.30PM PT. The actual Game Awards show will start at 6PM PT, and end between 8.30 and 9PM PT. Anyone hoping to catch the stream can watch it in a number of places. YouTube and Twitch will have a direct stream running, whilst other services may be streaming the same content directly on their websites. 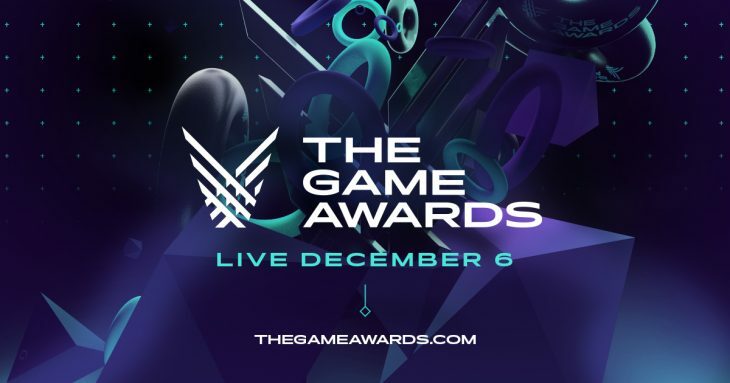 Other locations to watch the Game Awards include; Twitter, Facebook Live, Steam TV, Playstation Live, Xbox Live, Mixer, GameSpot, MLG, and Caffeine TV. As the year draws to a close many games press websites are giving their own game of the year awards, but the most coveted awards remain the ones given by the Game Awards show. Unlike awards from press sites and other outlets, the Game Awards are based on consumer feedback and voting, meaning that the games which win awards have done so thanks to fans seeking the title out in its awards section and voting for it. The nomination categories which will see awards given out this year are; Game of the Year, Best Action Game, Best Action/Adventure Game, Best Role Playing Game, Best Game Direction, Best Narrative, Best Ongoing Game, Best Art Direction, Best Score/Music, Best Audio Design, Best Independent Game, Best Performance, Games for Impact, Best Mobile Game, Best VR/AR Game, Best Fighting Game, Best Family Game, Best Sports/Racing Game, Best Multiplayer Game, Best Student Game, Best Debut Indie Game, Best eSports Game, Best eSports Player, Best eSports Team, Best eSports Coach, Best eSports Event, Best eSports Host, Best eSports Moment, Content Creator of the Year, and Favourite Moment of 2017. With eSports becoming far more mainstream over the last year, particularly with titles such as Fortnite, this year could be the most popular Game Awards show ever.